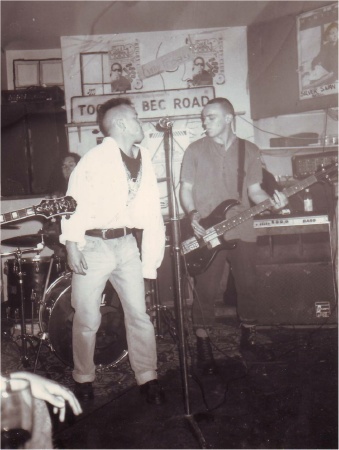 Formed in 1986 as Sid & The Stonecrushers, the band changed their name to The Boy The Boy the following year when Sid Rainey left for Thee Amazing Colossal Men and was replaced by Martin Harte (bass). Harte had previously been in Absolute Zero with guitarist Sean Sweeney. The latter was replaced by Shane Boyce, ex State Of Mind (1985-1988) and Dorian Remains (1988). Finn Corrigan had been in one of the later lineups of Auto Da Fe and Offaly band Strong Are Lonely. Darrell Rainey (ex Lemon Aftermath) replaced Martin Harte in 1988, the same year the band were Carling/Hot Press runners-up. They were finalists again in 1989 and spent much of 1988-89 located in London. They recorded a live album in 1991 which was never released and split shortly thereafter. The Boy The Boy were reputedly a great Buzzcocks influenced post-punk guitar band with a great Iggy-like frontman in Fran Healy, who gave off an "incredibly angry but also hugely energetic vibe". Their gigs were sometimes chaotic but never boring. They certainly sound like they had one great EP in them, but I haven't heard their single alas. Update: the A-side can now be found on youtube. Having heard it, I must admit I'm a little disappointed to find it sounds quite a bit like U2, even adopting a US-centric anthemic lyric about injustice, etc, just like the Malahide crusaders. 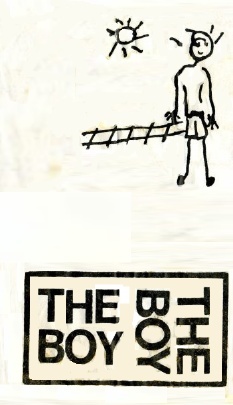 Maybe the B-side is better? Sid Rainey was later in Thee Amazing Colossal Men / Compulsion. Darrell Rainey was later in Restless Natives and Sack. 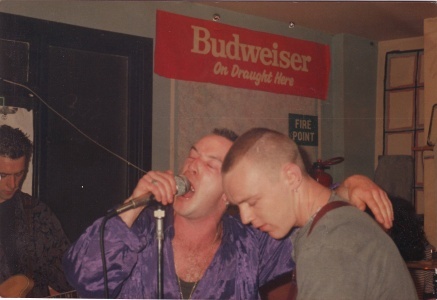 Sean Sweeney and Martin Harte rejoined their ex Absolute Zero bandmate vocalist Joe Hunt in Diesel Heart (1991-94, also with Helga Keogh, Christy Behan & Declan Harrison); Harte and Hunt then formed Indian (1995-) with ex Mama's Boys guitarist Pat McManus. Finn Corrigan RIP 2002. Recorded in Sulan Studios, Cork, engineered by Dennis Herlihy, produced by Dennis Herlihy and the band. Sean O'Neill and Niall Macken of Cork band Burning Embers provice guest vocals and piano respectively. 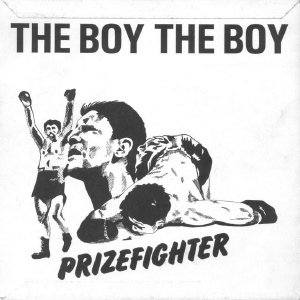 Some, presumably later copies of the single carry a stamp on each label crediting the songwriters and publishers, information missing from the printed text. 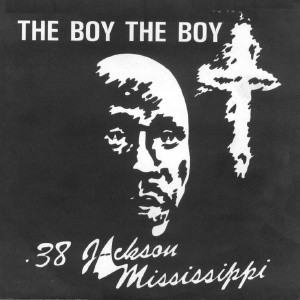 Both songs are credited to F.Healy, S.Boyce, E.McGoldrick and published by D.M.D. Music. 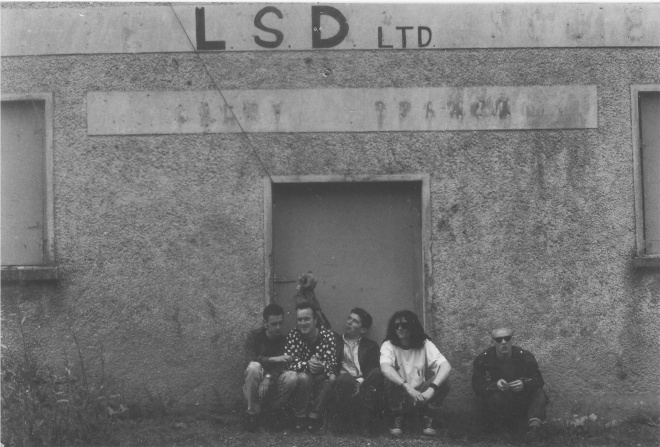 Live album recorded in 1991 at the Youth Contact Centre.